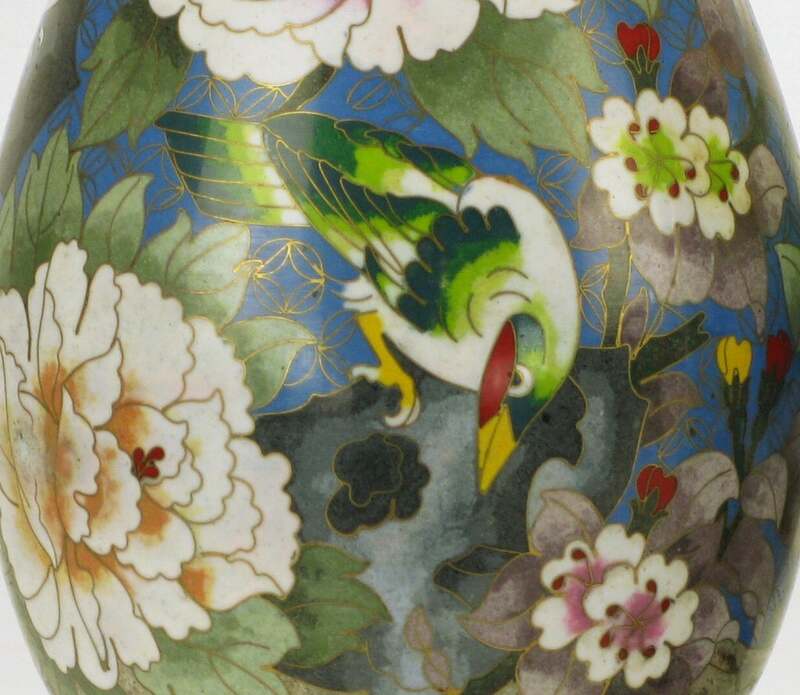 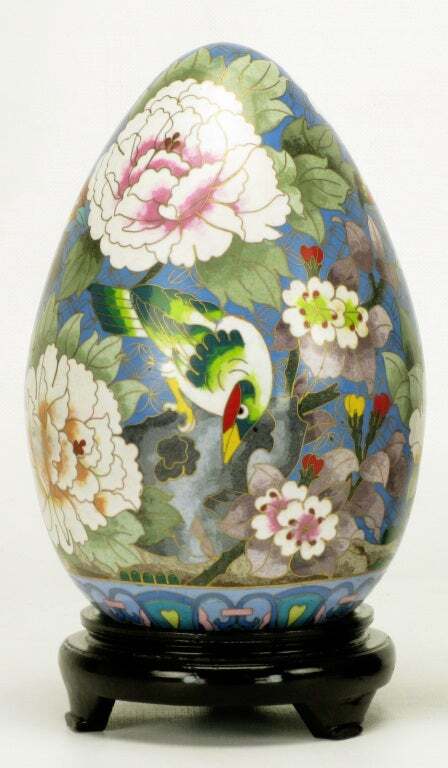 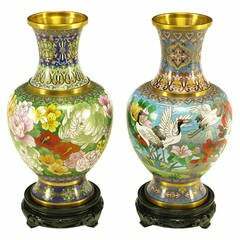 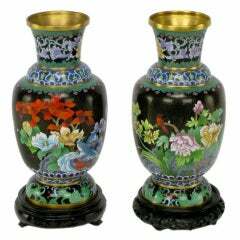 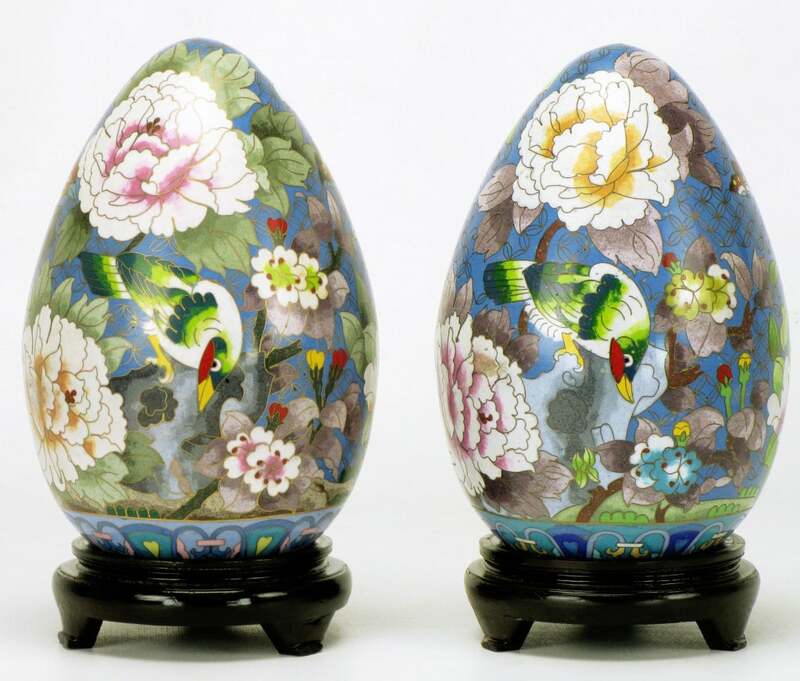 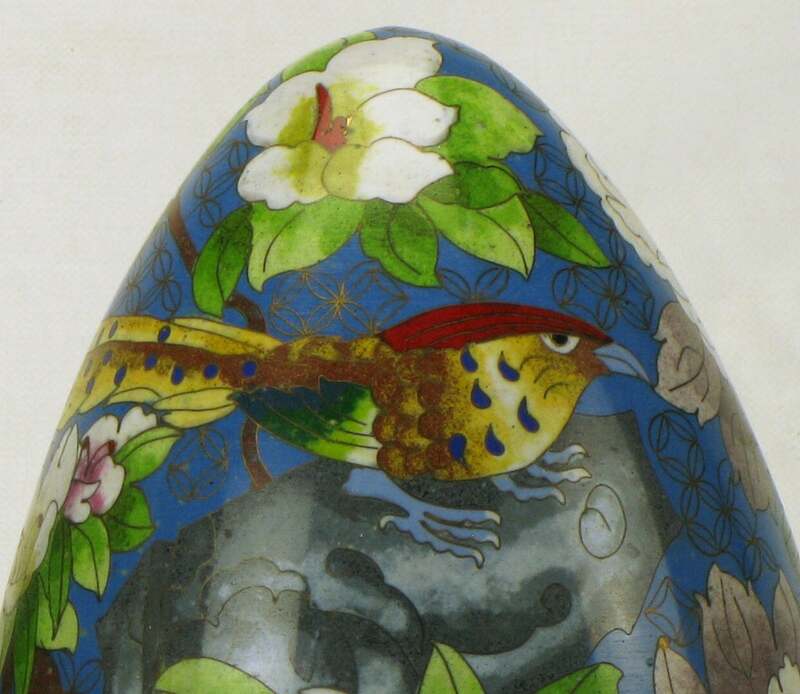 Excellent pair of large (11.5") cloisonne eggs with colorful bird and flower detailing in blue, green, white, rose, yellow and red. 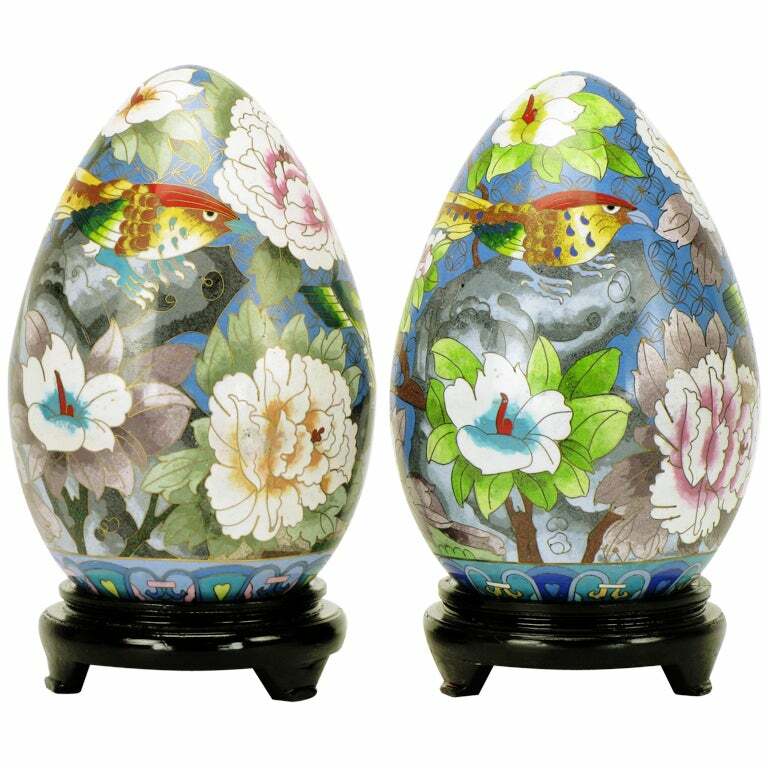 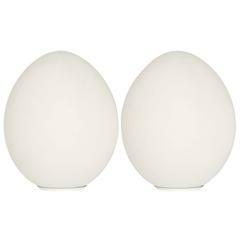 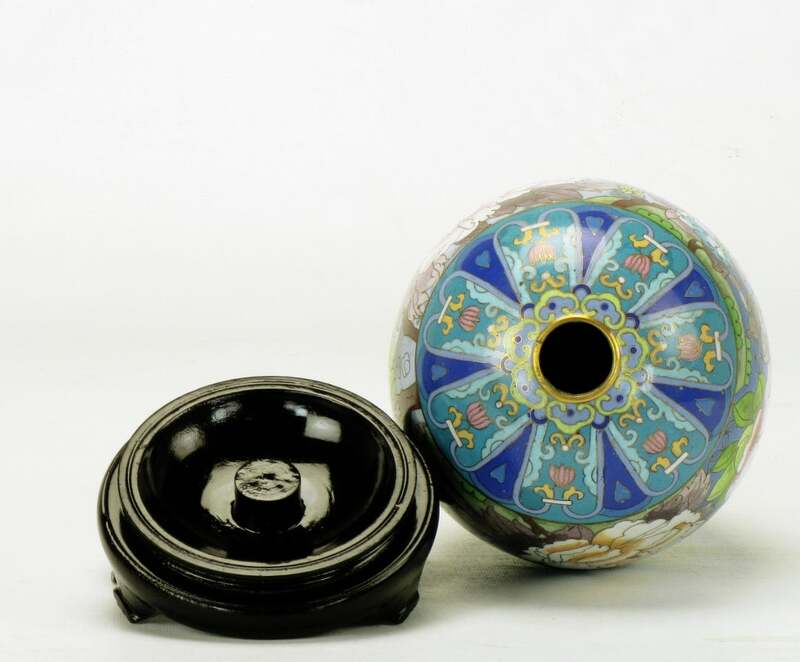 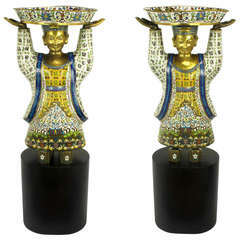 Brass and enameled eggs are hollow with open bottoms to fit securely on the carved and ebonized wood three leg bases. 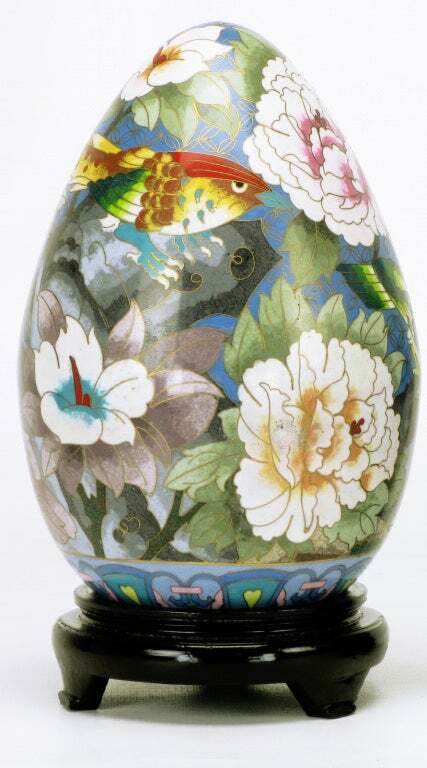 Pillow made from a colorful Turkish rug. 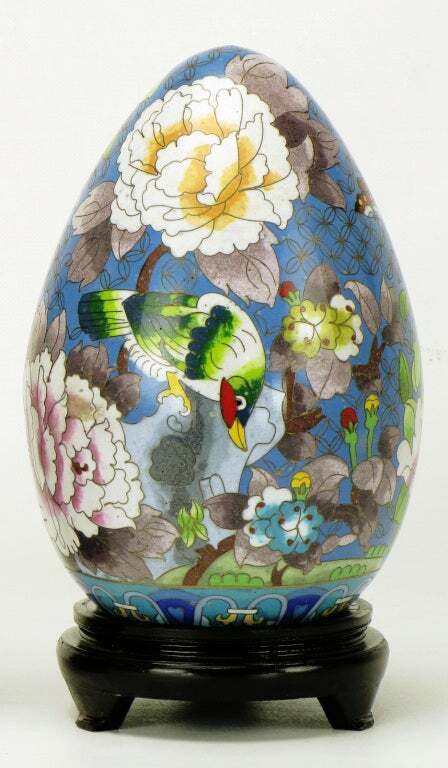 One of a kind colorful square motif Suzanni embroidery. 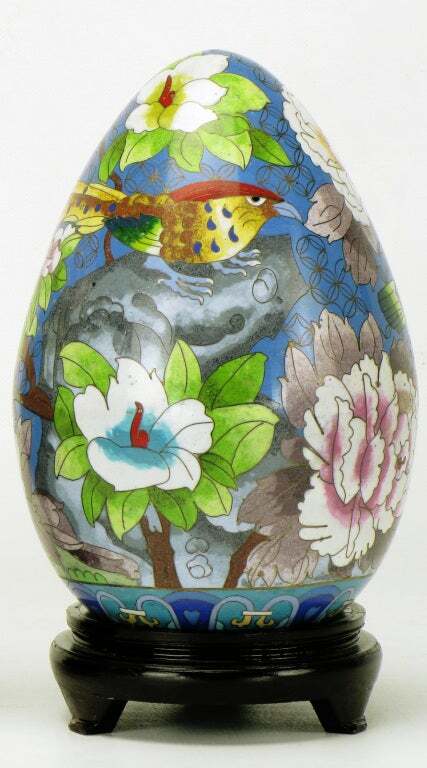 Pillow made from a Caucasian Karabagh rug.